Hanukkah or the Festival of Lights is one of the celebrated occasions around the world which lasts for eight continuous days and nights. this occasion is to commemorate the victory of the Israelites (Maccabees) over Antiochus who was known as a Greek-Syrian ruler 2200 years ago. Hanukkah is also often called the Festival of Lights since this celebration recognizes the rededication of Jerusalem’s Jewish Temple during the 2nd century BCE. Although Hanukkah has become famous since it falls near Christmas season, it is only known as a minor occasion in the Jewish calendar. Hannukah is known as one of the Jewish holidays that have been established later; the celebration also does not appear in the Torah since the celebration occurred after the Torah was written. Hanukkah, in honor of the miracle of the oil, lasts for eight days and unlike other Jewish holidays, work is not restricted during the celebration. 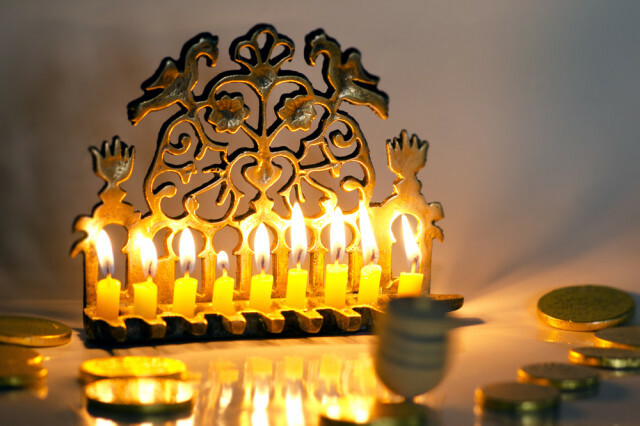 During Hanukkah, the Jews make use of a candle called Shamash to light the other candles on a nine-branched candelabrum; also, to commemorate the Maccabean Revolt, the Jews also chant blessings and sing festive songs over the Menorah. The Menorah or the special nine-branched candelabrum is also known as Hanukiah in Hebrew. 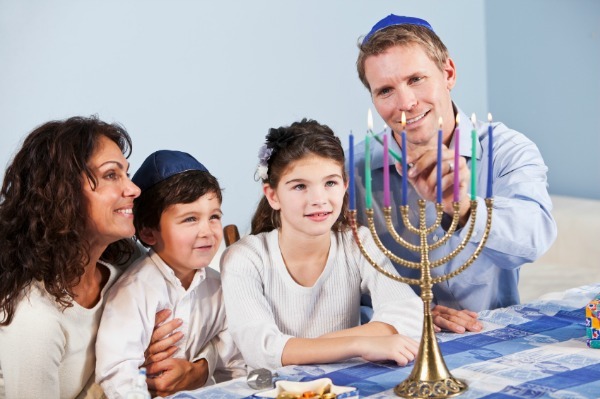 Jewish families today burn oil in a candelabra or light candles for eight days, starting from one candle then adding one each day. In each of the days of Hanukkah, children receive “gelt” or “money” in Yiddish to teach them about charity. Recently, children receive a small gift on every night of the celebration, which has become a more popular tradition. This gift giving ritual is usually associated with the tradition of the Christians. On Hanukkah, Jewish children play with the dreidel, a toy that is similar to a top. It has four sides with the Hebrew letters which stand for “Nes Gadol Hayah Sham,” meaning “A celebrated miracle occurred there.” In Hebrew. It is played with candy and the one who gets all the candy is the winner of the game. During this occasion, Jews eat deep-fried food to commemorate the miracle of the oil. Classic dishes include latkes or crispy potato pancakes, and the levivot which is usually served with sour cream and applesauce. The sufganiyot or jelly-filled donuts are often topped with powdered sugar while the Sephardic Hanukkah donuts that are dipped in honey are called Banuelos or Bumuelos. There are three ways to wish someone a Happy Hanukkah: one is “Chag Sameach!” which simply means “Happy Holiday”, “Hanukkah Sameach!” which means “Happy Hanukkah”, or if you want to practice or show off your skills in speaking Hebrew, say “Chag Urim Sameach!” The word “urim” means “lights”. In Yemen, children used to bring tins and go to different houses to collect wicks for the Hanukkah Menorah. In Germany, the last night of Hanukkah was once very special. All the remaining oil and wicks were lit in huge bonfires while people sang and danced around the fire, often until the small hours of the night. The Menorah was used to be placed outside the house by the front door except in times of religious persecution; however, this is no longer common. Today, Jewish families choose to display the Menorah by the windows or in the dining room. Hanukkah is a fun time to celebrate with your loved ones, and knowing these facts makes the occasion more meaningful for everyone. If you are planning to hold a Hanukkah party, you may add more fun and quirky twists to your decorations, food, and even activities; one of the unique ways to celebrate Hanukkah is to include playing with the Original Copter. 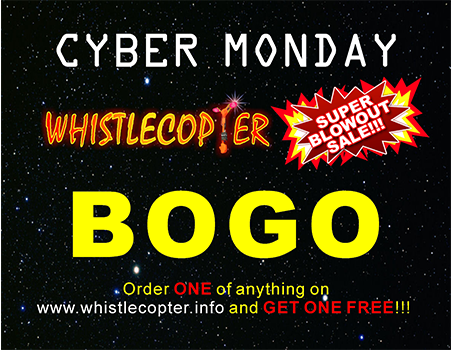 Aside from playing dreidel, playing with the Original Copter will make your Hanukkah celebration even more enjoyable since you will be having the ultimate fun experience together with the family.